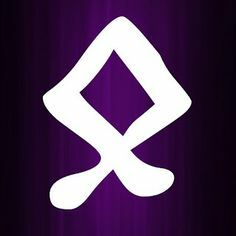 This rune speaks of what is truly important, of increase and abundance, and a source of safety. This rune is associated with many Norse Gods and Goddesses, both Aesir and Vanir, including Asa-God Odhinn(Odin), who is known as the All-father along with many other titles. The colors of this rune are copper and brown.